Mills’s approach appears a little more consistent with the regional efforts in Baileyville and Calais, the Downeast Broadband Utility. The two rural communities joined forces to create their own dark fiber utility when incumbents wouldn’t bring the services they needed. Recently Cumberland County released an RFP for a similar regional approach. As a mostly rural state, the problem of the urban/rural digital divide is especially pressing in Maine. Another recent piece from the Press Herald introduced the growing problem through Wayne and Katy Kach from Philadelphia. The couple had hoped to move to Maine to be closer to family and to escape the crowded city, but the region where they sought a new home had no high-speed Internet access. Then there’s David Reed’s family. He and his wife live in rural Maine but are considering moving away because Internet access in his area is so bad that some properties don't have ANY options. 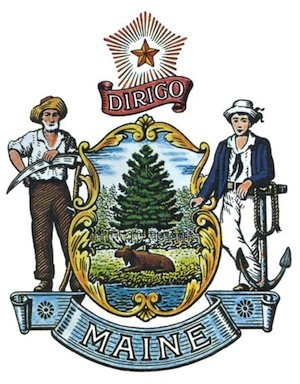 With the prospect of people leaving and others refusing to replace them due to lack of an essential service, such as high-quality Internet access, Maine gubernatorial candidates have no choice but to address the issue of broadband. Regardless of which candidate’s plan prevails, however, local communities such as Baileyville and Calais, Islesboro, Ellsworth, and Sanford are taking steps to connect their residents. The best move for Maine’s next governor would be to provide support and let local communities call the shots.